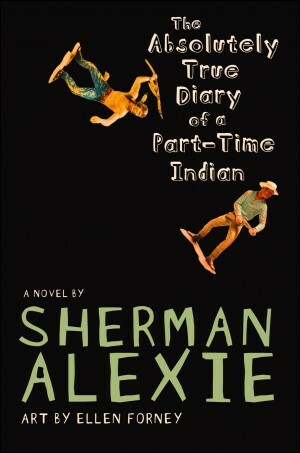 Earlier this week, news broke of yet another challenge brewing for Sherman Alexie’s The Absolutely True Diary of a Part-Time Indian. Frankie Wood of Brunswick County, North Carolina, who has no children in the local school district, was nevertheless circulating petitions in area churches to have the book removed from schools because it mentions masturbation and contains words that “we don’t use…in Christian homes.” At the Brunswick County school board meeting on Tuesday night, however, Wood seemed reluctant to actually follow the challenge procedure set forth in the district’s Materials Selection Policy. Wood said, however, that when Superintendent Edward Pruden called to explain the formal challenge procedure earlier this week she got the impression “that he didn’t think I had a chance to win,” partly because another recent challenge to Alice Walker’s The Color Purple was defeated. Although Pruden objected that he never meant to give that impression but was simply explaining the process, Wood responded that she was “discouraged” after talking to him. Since no formal challenge to the book has been lodged, the Brunswick County school district will not be taking any action at this time. If Wood does decide to pursue the challenge, we will keep you updated! Below is a video (start at 21:25) and transcript of Wood’s brief comments before the school board. Frankie Wood: I know your time is valuable, so I’ll be short. I’m here about the book The Absolute [sic] True Diary of a Part-Time Indian. I have three main points that I want to give you about this book tonight, and why I think it should be removed from Brunswick County Schools. The first point is the language is profane and not redemptive. [In] my opinion [it] is racially demeaning to the African Americans and to the American Indian. It is obvious that many jurisdictions have a problem with this book being profane, as it has been listed in the top 5 challenged books in the United States every year since 2010. There are wonderful books that would be redemptive to our children instead of teaching them this material. I have been asked tonight about protocol. Uh–I didn’t know about protocol. Uh, Mr. Pruden called me this week to tell me about protocol. And I had already done so much, it was…I had asked all these people to come and done all this kind of stuff so it wasn’t…something. But in talking to me, he told me that he didn’t think I had a chance to win, and he gave me The Color Purple as an example. Well, if…I’m not going to win, why go through protocol? So we are gathering more petitions, I have petitions but they asked me to keep those and when I go through protocol. Uh, we are trusting that you have our children’s redemptive and educational welfare at heart and will take this book out of our schools in Brunswick County. Thank you, and God bless you all. Board Chair John Thompson: Thank you Ms. Wood. Pruden: [inaudible]…you did and that was not my intent at all.